Discusses all aspects of water and the evolution of life, including how water acts as the medium of communication between all living organisms. Water shapes our landscapes and sustains life on Earth. It also influences our emotions and inspires imagination and creativity. Yet we take it for granted, treating it as a convenience or for cleansing. In this comprehensive new book, Alick Bartholomew argues controversially that water is the medium of communication between all living organisms. He suggests that only through understanding water’s true role in Nature can we begin to live responsibly and sustainably. The book covers all aspects of water, from water in the cosmos and solar system, through the Earth's water cycles, to water in our bodies and in plants. It goes on to consider the larger picture as well: water's cosmic role, the memory of water, and its crucial relationship to the quantum field. Finally, the author addresses the future: the global water crisis and how to access the best quality of living water for human health. This is a serious but popularly-written illustrated book which offers an original and fascinating study of water as a vital dimension that interconnects all life on Earth. "Alick Bartholomew has done a great service to us all by putting the fundamental issues of water so clearly and lucidly in front of us. His [book] is a perfect guide to show us the way to put right our broken relationship with water. This is one of those rare books which brings science, spirituality and practicality in one integrated whole." 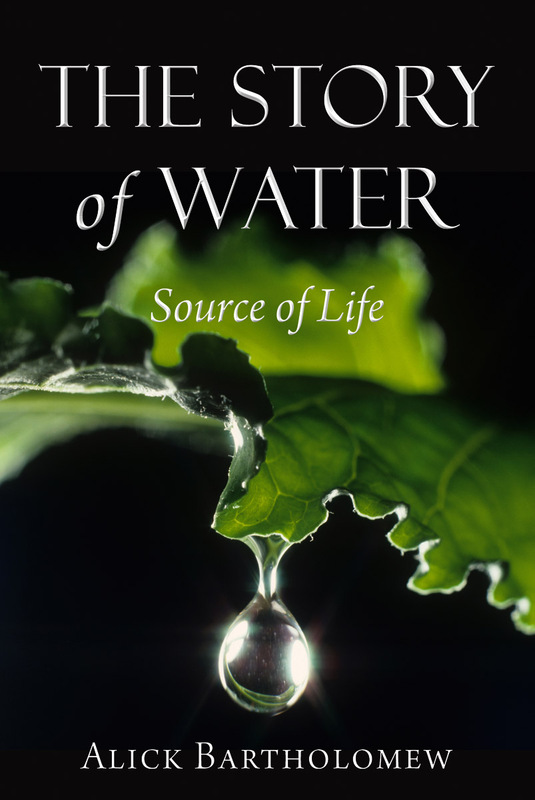 "In a single volume, by analysing and synthesising the insights of recent research into the qualities of water that best support life, Alick has taken us a step closer to answering that most fundamental of questions, 'What is Life?'!" "Alick Bartholomew's new book: 'The Story of Water: Source of Life' is a passionate attempt to get us to stop taking water for granted and to give it the attention - and respect and even love - it deserves… 'The Story of Water' covers just about everything that you would want, or need, to know about this most precious element. The book is encyclopaedic in scope, testament to Bartholomew's long and deeply-researched interest in the subject… 'The Story of Water' remains a thought-provoking book which should be read widely." "In this unique, wide-ranging work, which includes some beautiful colour plates, Bartholomew reiterates the importance and characteristics of water, its purpose in the Cosmos and our solar system, its atmospheric and terrestrial cycles, and its role in nuturing animal and plant life as well as evolutionary progress." "Words cannot describe the extraordinarily comprehensive, deep and lucid treatment of the role of water within our bodies and in the environment. Based on more than a century of scientific study, much of which hasn't been recognized by mainstream scientists, Bartholemew's magnum opus argues convincingly that water is most life-giving and life-enhancing substance known to humanity: we can either destroy ourselves and our surroundings by polluting our water or we can heal through natural processes, positive intention and vortex motion. Water has consciousness and memory. This is the most important book I've read in the new century and will be required reading for all my students." 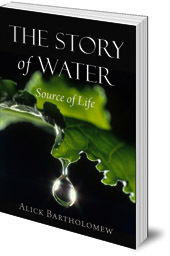 "Through a more profound understanding of the nature of water, Alick has made a very significant contribution to the emergence of a holistic worldview, while not neglecting the ecological and political dimentions of water with which we will have to deal collectively in the next 20 years, This book is essential reading for those who wish to understand the real story of water." Alick Bartholomew’s (1930-2015) lifelong concern, both as writer and publisher, was to reconcile scientific enquiry with a spiritual worldview. Investigating water at a deep personal level became a quest that inspired much of his work. He studied Geology at Cambridge University followed by graduate studies at the University of Chicago, and through his long publishing career he published many books on alternative themes and lifestyles. He is the author of Hidden Nature: The Startling Insights of Viktor Schauberger (Floris Books, 2003).